Stunning 1 year old Tamarack built 'Eton' model with 1,833 sq/ft of finished living space, 3 large bedrooms and 2.5 baths. Meticulously maintained and shows like a model home, featuring private single driveway, front porch and large sunken foyer. Hardwood and tile flooring throughout the main floor, open concept main floor design with 9ft ceilings, gorgeous upgraded kitchen w/quartz counters, large island w/extended breakfast bar, walk-in pantry, pot lighting, and upgraded cabinetry w/tile backsplash and under cabinet lighting. Bright and open living room with gas fireplace (w/rough-in for TV above) overlooking the dining room w/patios doors to private rear deck. Upstairs offers 3 bedrooms including spacious master bedroom w/walk-in closet and a luxury ensuite complete with tiled shower w/glass doors and deep roman oval soaker tub. Convenient 2nd floor laundry and 4-piece main bathroom. Lower level finished by the builder with large rec room and ample storage. 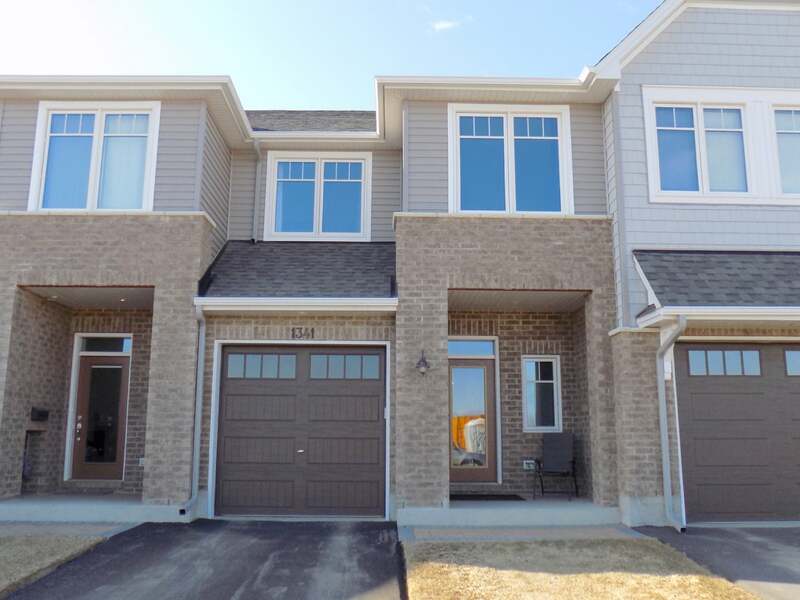 All this plus attached garage with opener and inside entry, central air, HRV, on-demand hot water system, central vac rough-in and qualified EnergyStar for greater efficiency. All 6 appliances included and available to move in anytime! Ideally located in popular Woodhaven, close to all west end amenities. An absolute pleasure to show, call to arrange a private viewing. Floor Area 1,494 Sq. Ft. Lot Size 20.01ft x 104.98ft Sq. Ft.